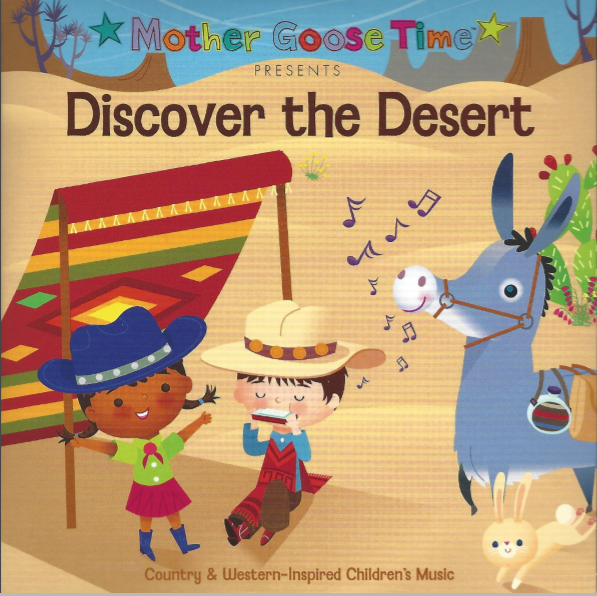 This month Mother Goose Time is off to Discover the Desert! 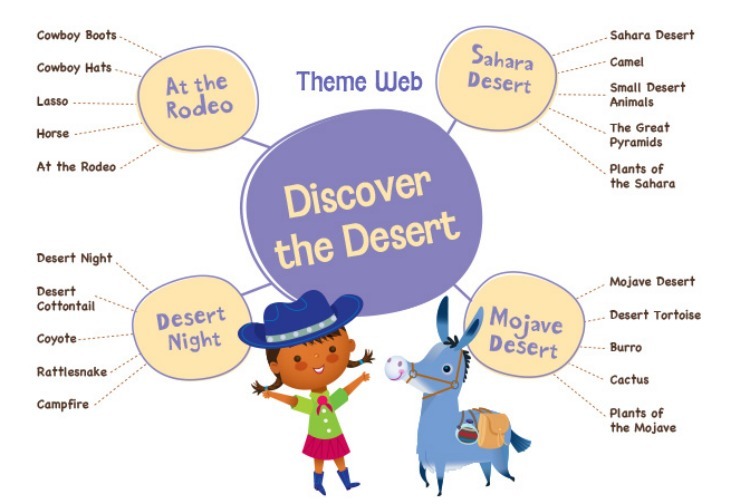 We’re looking forward to learning about the rodeo, desert nights, and the Sahara and Mojave Deserts. Click here to see all the monthly themes for January – August 2016. 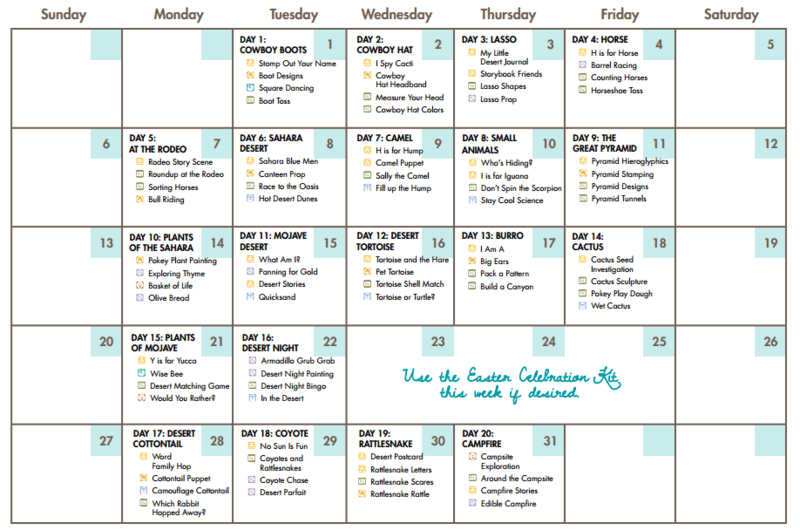 Racing to the oasis, square dancing, and panning for gold are just a few of the fun activities we are looking forward to this month. The included story of the month is “Who Am I? Friendly and Not So Friendly Faces Of the Desert,” by Sue Hawkins. We also have a whole new list of suggested books and outdoor and free play ideas. We’ll be sure to share some of our favorites! 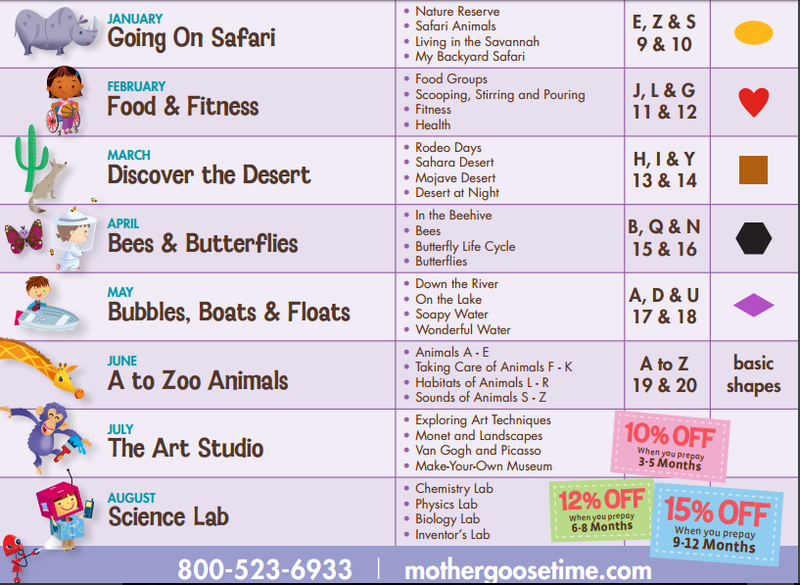 Each month comes with thematic manipulatives. 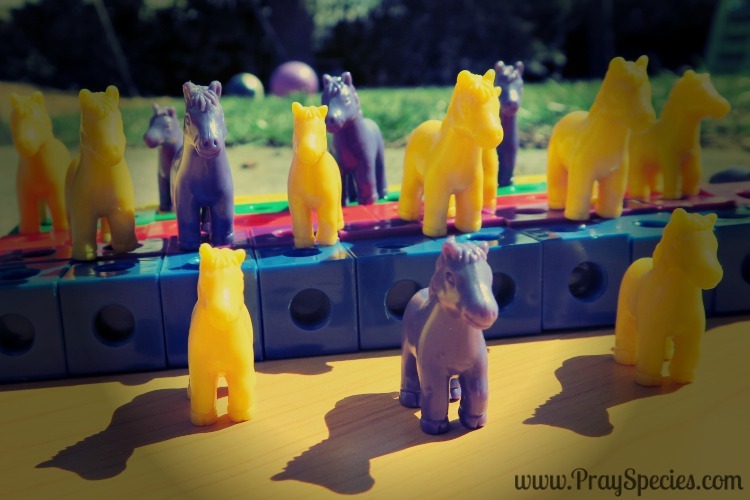 This month, colorful counting cubes and horse counters are included. These manipulatives are used in several of the Mother Goose Time activities and we are most looking forward to using them for pattern activities and pretend play. Mother Goose Time always includes at least one Spanish activity to encourage second language acquisition skills. 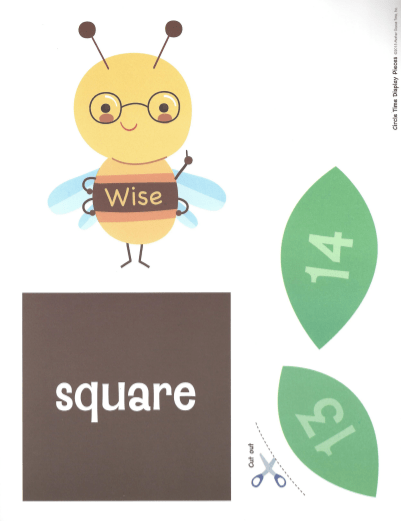 There are also flash cards available in online member resources that encourage the incorporation of Spanish vocabulary while engaging in the varied daily activities. 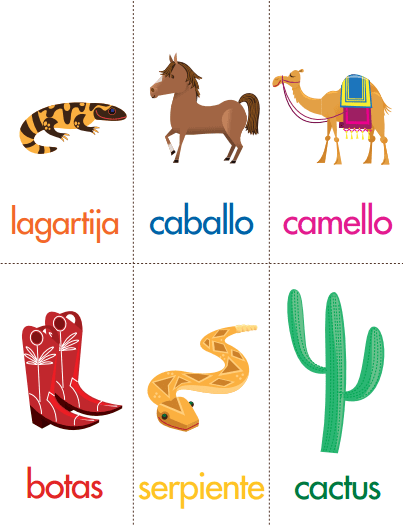 The coloring sheets, also available online, provide the Spanish word for several additional thematic objects. 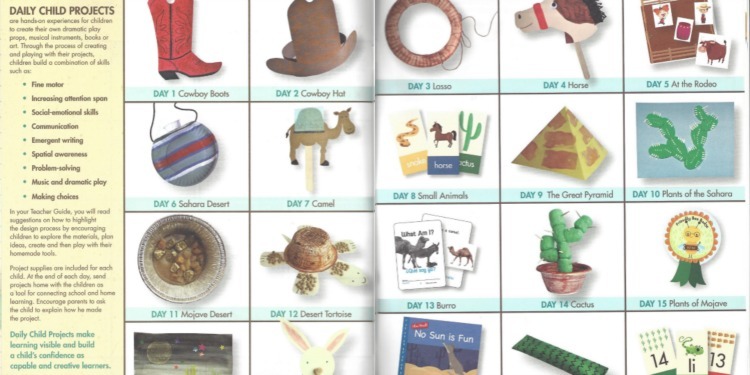 This month they include horse, camel, and cactus. 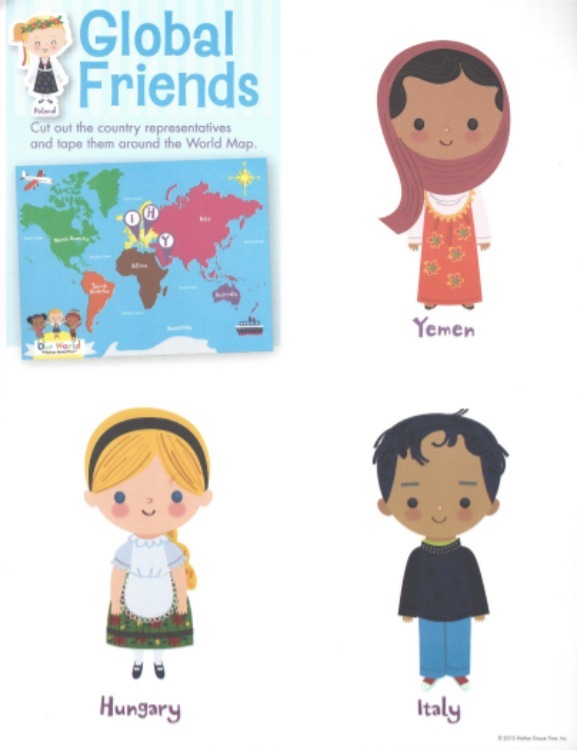 Three different global friends arrive each month that encourage the children to use and more fully understand the world map that Mother Goose Time provided when we first started using the curriculum. Our new global friends are from Yemen, Hungary, and Italy. Each friend will introduce the kids to a new cultural element through pictures, games, or storybooks. 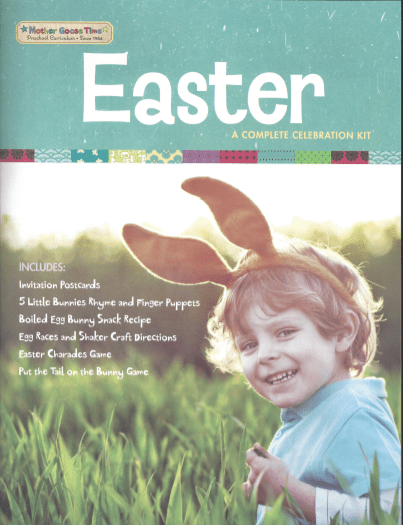 This month also includes a celebration kit focusing on Easter. We’ll be creating an Easter themed hard boiled egg bunny snack and making egg shakers. 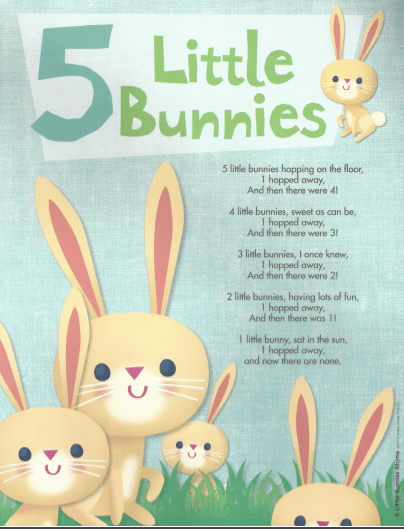 There is also a pin the tail on the bunny game, Eater charades and an Easter rhyme with finger puppets.